Before we get into this week’s 6 Golden Pool Rules for Parents and I start listing parenting ‘should do’s’, let me just put my own water safety parenting follies on the table. First, I’d like to say I’m not even close to a perfect parent and, if I’m honest, my negligence of water safety almost resulted in my youngest son, Tate, drowning a few years back. Yes, you heard me right. So before we get into the 6 Golden Rules, let me tell you that story. It was a beautiful summer afternoon back when we lived on a country road with our neighbours half a km away on either side. My twins were one and a half and we had an above ground, fenced in backyard pool about 100m from the house. It may have been someone’s birthday, I can’t remember now, and our family, my sister’s family, and my parents were gathered in the backyard on our screened-in porch. We had been in the pool all afternoon with the kids splashing and laughing and had now settled on the porch to eat. As I finished putting the last salad on the patio table, I saw my neighbour sprint from her backyard to our pool. I watched, stunned, as she climbed the steps to the pool deck by twos, flung open the latch-gate and scooped up Tate, who was on all fours, leaning over the pool edge trying to reach a brightly coloured beach ball. I don’t know if I breathed or screamed, but it only took a moment for the gravity of the situation to hit me. It hit me hard and I began to cry as we walked towards each other across the back lawn. When she handed me Tate, I thanked her through my tears. It turns out Tate, in the bustle of lunch preparation, had crawled out the screened-in-porch, across the back lawn, up the stairs to the deck. When he found the hydraulic fence not quite clicked shut, he had made his way on deck to “play” with the beach ball. That day, in our busyness and fun, I (we) broke two of the Golden Rules you’ll find below and it almost cost us our youngest son. 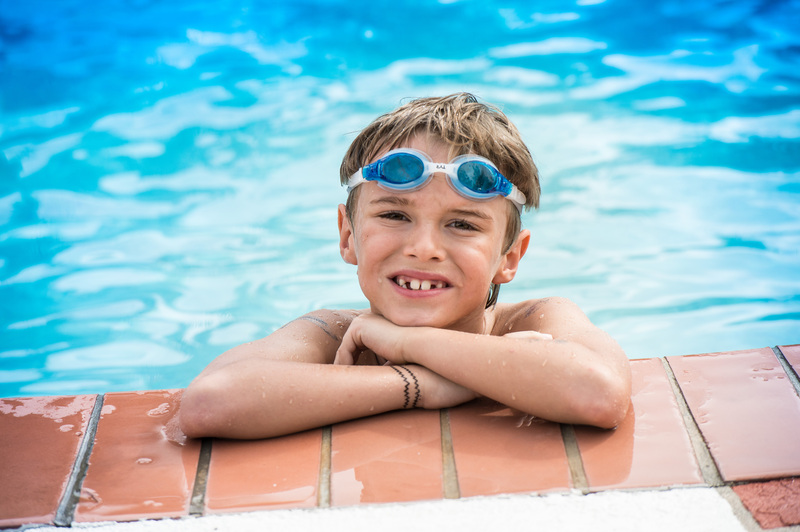 So from this imperfect parent to you, please take a little time and internalize these pool rules so that they stay top-of-mind when you and your family are busy or distracted water-side. This is the most important tip of all. Before your kids even enter the pool area – which should only ever happen when there’s an adult present – decide on a water-watcher. That’s a person whose sole responsibility is to watch all the kids in the pool area. This means no texting or reading – both eyes on the kids at all times! Every child in the pool area should know who the Water-Watcher is in case they need help. If you need to leave, ask someone to take your place. Just as important, at the end of pool time, make sure you’re the last one out of the area and that the gate is locked tight behind you. It’s hard to judge just from looking into the pool whether it’s deep enough for diving safely. It is also easy to dive deeper than you originally anticipated, especially if you’re a kid just learning to dive. I hate to poo-poo backyard diving, but I’ve seen too many really great swimmers scrape their foreheads and noses on the bottom of a backyard pool to recommend diving in these pools. My best advice is to save the diving for the big, deep diving areas of the public pools. Each child is at a different skill level when it comes to swimming ability. 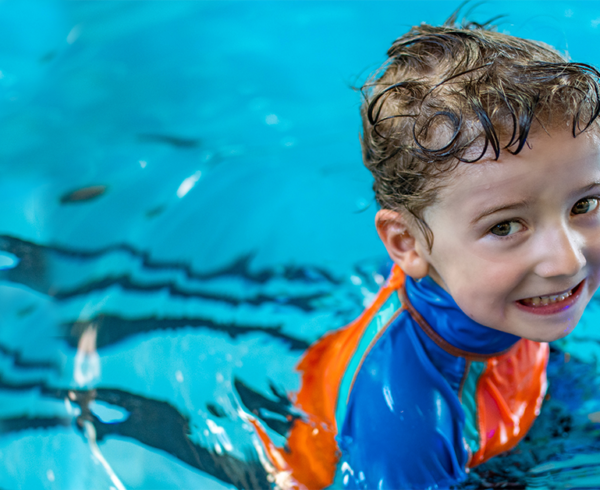 If your child isn’t swimming independently yet, isn’t a strong swimmer, or is under five years of age, be sure to stay within an arm’s reach in the pool at all times even if they are wearing a floatation device. Similarly, do you have one of those kids who has no fear when it comes to the water? Or maybe your child is easily confused with a fish because they take to water so well. While those are amazing traits to have, it’s not a solid reason to let up on supervision. 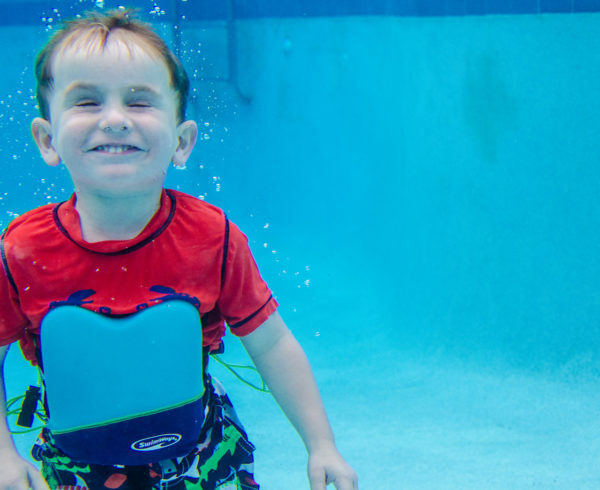 The truth is, most parents overestimate their child’s swim ability. (For more on that, read this amazing article about a Canadian study done by Barbara Morrongiello here.) 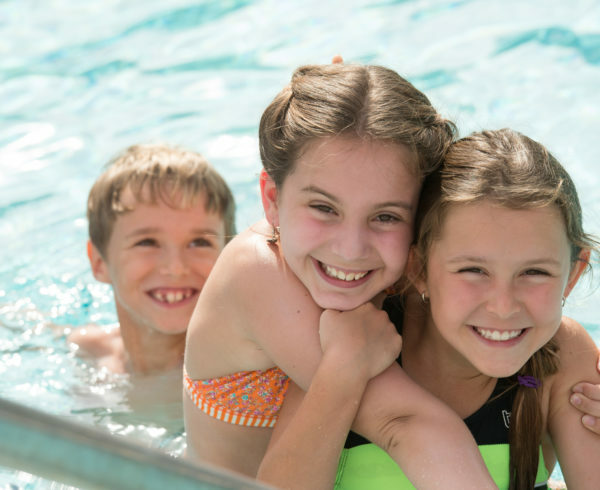 Regardless of where your child falls on the scale, the important thing to note here is to under-estimate their current swim ability – and their limits – and let this guide you in keeping them safe. It’s not something we think of, but pool toys left floating in the water or around the pool area can be a huge hazard. Little ones are drawn to them and will try their best to reach them if they’re left lying around. As well, accidents can happen quickly, whether kids are climbing into the water or walking on deck and trip over toys on the pool deck. So keep them in bins – out of sight is out of mind! Has the drop-off ever caught you by surprise before? It’s not fun! Before your kids even get in the pool, locate the point where the pool bottom goes from shallow to deep and be sure to point it out to your kids. As well, keep an eye on this spot as you supervise the pool. If someone is heading towards the drop-off, and they are not a strong swimmer, quickly remind them to move away. Better safe than sorry. This tip is just common sense, but as we know, when kids are excited and having a lot of fun their minds are not on safety. Some things to watch out for on deck: Don’t run, always walk. With so much water around, it’s easy to slip, fall and maybe even bang your head – or worse, fall in the pool! In that same vein, definitely no horsing around or roughhousing! If you have the option, always choose plastic over glass cups to bring out to the pool deck. With so many bare feet walking around, a broken glass could potentially mean shards of glass in the foot. 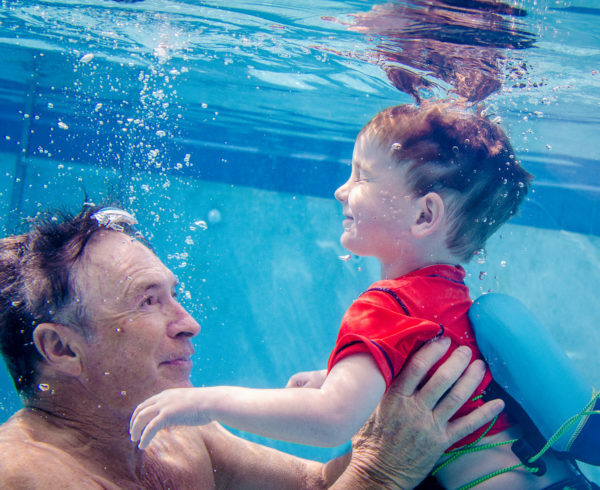 Here’s an amazing reference for you to check out – whether you want more details on pool safety or just water safety in general – from the Lifesaving Society. And before you send your kids to the pool, plop them down for this fun, 2-minute video I made with my kids last year about how to stay safe at the pool. Thanks for your advice.When my child goes to poolside, I am very worried about them.But then I will follow your tips.I think it would be good for me.